The deal could pave the way for lucrative Mediterranean gas deals and a diplomatic reprieve from Turkish troubles with next-door Syria and Europe. Under the deal, Turkey will deliver humanitarian aid and products to Gaza and carry out infrastructure projects in the area.&nbsp;Israel&nbsp;has apologized&nbsp;for its lethal raid on the Mavi Marmara activist ship and agreed to pay out $20 million to the bereaved and injured. JERUSALEM/ISTANBUL (Reuters) - Israel and Turkey on Sunday reached agreement to normalize ties, senior officials from both countries said, to end a rift over the Israeli navy's killing of 10 Turkish pro-Palestinian activists who tried to sail to the blockaded Gaza Strip in 2010. A formal announcement on the restoration of ties and the details of the agreement were expected on Monday at 1000 GMT by Israeli Prime Minister Netanyahu in Rome, and Turkish Prime Minister Binali Yildirim in Ankara. "We reached an agreement with Israel to normalize bilateral relations on Sunday in Rome," a senior Turkish official said, describing the agreement as a "diplomatic victory" for Turkey, although Israel has not accepted to lift the Gaza blockade, one of Ankara's three conditions for an agreement. Under the deal, Turkey will deliver humanitarian aid and products to Gaza and carry out infrastructure projects in the area. Israel has apologized for its lethal raid on the Mavi Marmara activist ship and agreed to pay out $20 million to the bereaved and injured. The once-firm allies had been quietly mending fences in trade and tourism since their leaders held a conciliatory telephone call in 2013 and negotiations have intensified over the past six months to pave the way for a mutual return of ambassadors. Israel, which had already offered its apologies - one of Ankara's three conditions for a deal - for its lethal raid on the Mavi Marmara activist ship, agreed to pay out $20 million to the bereaved and injured, the Israeli official said in a briefing to Israeli reporters traveling with Netanyahu. Under the deal, Turkey will deliver humanitarian aid and other non-military products to Gaza and carry out infrastructure projects including residential buildings and a hospital in the area, the senior Turkish official said. Concrete steps will be taken to address the water and power crisis in the city. A senior Israeli official said senior foreign ministry diplomats from both countries would separately sign parallel agreements on Tuesday. The deal, politically touchy for both countries, could pave the way for lucrative Mediterranean gas deals and a diplomatic reprieve from Turkish troubles with next-door Syria and Europe. The rare rapprochement in the Middle East, bitterly divided over Syria's civil war, has been largely driven by increasing security risks with the rise of Islamic State and as both countries seek new alliances amid a polarized region. Israel demanded that its military officers and government officials be indemnified against prosecution on war crimes allegations. The Israeli official said the money would be paid after Turkey's parliament passed legislation on the issue. Turkey's Islamist-rooted President Tayyip Erdogan had cast himself as guardian of Palestinian interests and engaged Hamas, the faction that controls Gaza and is on the terrorist blacklists of Israel and Western powers. A 2011 report commissioned by U.N. Secretary-General Ban ki-Moon upheld the legality of the Gaza blockade, which Israel says is needed to stem Hamas arms smuggling. The U.N. inquiry also faulted Israel for its marines' use of lethal force as they stormed the Mavi Marmara and brawled with activists on the deck. 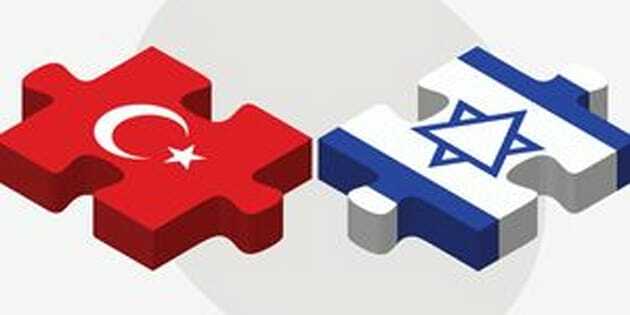 Separate to the agreement, the Israeli official said Erdogan would instruct relevant Turkish agencies to resolve the issue of missing Israelis in the Gaza Strip. Israel says Hamas is holding the bodies of two Israeli soldiers killed in the 2014 Gaza War and believes two civilians are also missing.